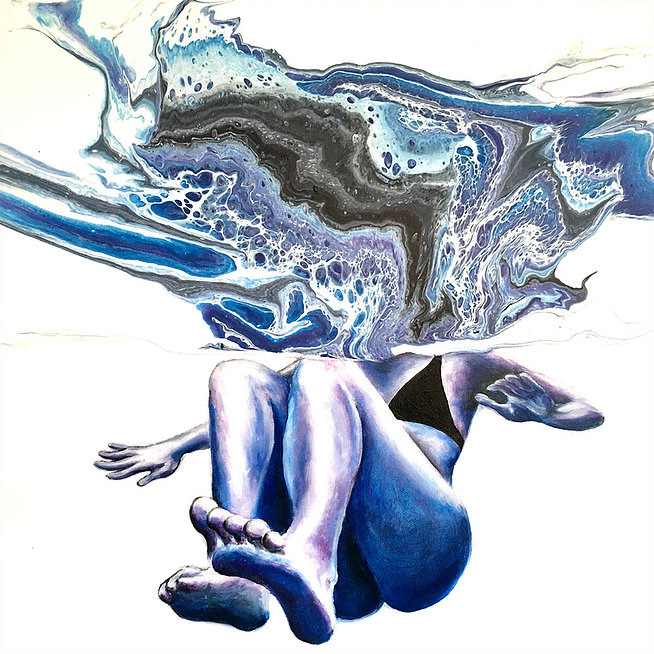 Kelly Keane is an ocean artist who was raised on the coast of Washington State, and is now blessed to live on the beautiful island of Kauai in Hawaii. Her artistic inspiration is drawn from the ocean, as that is where she feesl most at peace. She is fascinated by the swirling colors and patterns of the water’s surface, from both above and below. She aspires to capture not only its beauty, but also the serenity of the ocean with her ∑art.